CLOSEOUTS. 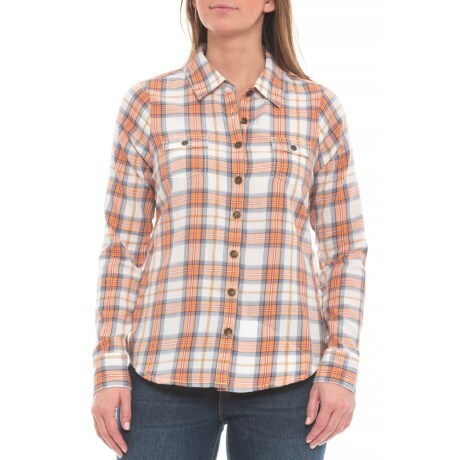 Made with organic cotton for the warmer seasons, Aventura Clothingand#39;s Ridley shirt complements denim skirts and love-worn jeans with its richly hued plaid design. Available Colors: CORAL REEF. Sizes: XS, S, M, L, XL, 2XL.